Chimamanda continues to set goals, attain it and this time around, she is going ahead and breaking every breakable records. 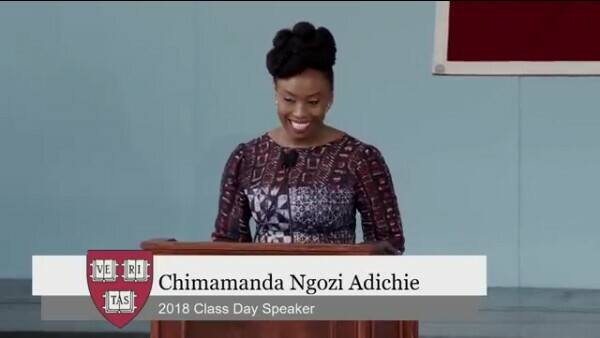 Today, she became the first African to deliver Harvard College Class Day Speech. Class Day Speech is a major feature of the university’s annual graduation event and speakers are selected by the graduating students themselves. No doubt Chimamanda can even surpass the Nigeria renowned Prof. Wole Soyinka with the rate she is going. 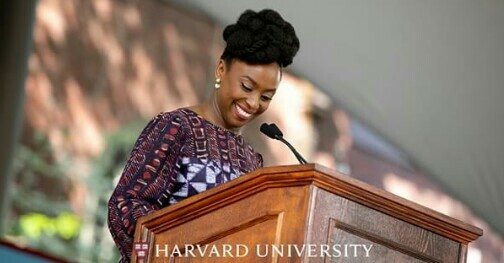 Chimamanda’s speech at Harvard on Wednesday conveyed the importance of seeking to tell the truth in today’s world. She also stated that while it is very important for people to be outraged when appropriate, it is crucial for one to understand the context in which an event took place or a statement was made—as well as the intent of the protagonist or speaker—before becoming offended or outraged. She exhorted the graduating students to be courageous in speaking the truth, even at the risk of being criticized for doing so, noting that true satisfaction comes from maintaining one’s integrity.